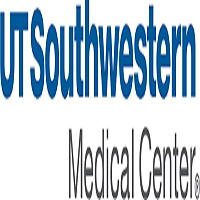 The Department of Radiation Oncology at the University of Texas Southwestern Medical Center is seeking a qualified individual to support a research project for up to two years within the Division of Medical Physics and Engineering. Appointment is expected to be at the rank of Visiting Assistant professor. Applicants must have a Ph.D. Degree in computer science or a related field and an excellent track record of research activities. The ideal candidate will have strong interpersonal and communication skills, showing consistent research productivity. The individual will participate in research related to employing artificial intelligence technology in image segmentation, treatment outcome prediction, and treatment planning to achieve optimal outcomes from radiosurgery treatment for multiple brain metastases. Personal attributes such as initiative, problem-solving, and teamwork are highly valued.